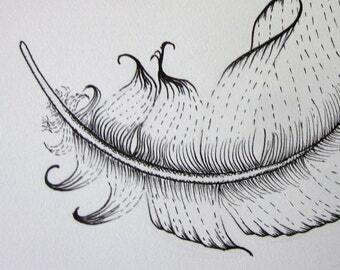 Announcement My original minimalist art is inspired by the natural world ~ feathers, shells, leaves. Each one is a little jewel ready to put into that special place for you to enjoy each day. 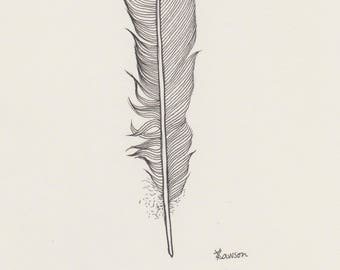 I am delighted to be able to offer you my unique art work, knowing that each drawing and painting brings a small piece of tranquility. Enjoy! All my art works are ready to be shipped and can be to you within 7 to 10 days for overseas buyers, sooner for Australian customers. The art works are protected by cardboard and packaged flat in tough bags. They are shipped as letters, as this gives them extra protection from bending and damage. For more information about the success of my packaging and pricing of postage look at my feedback and shipping policies. 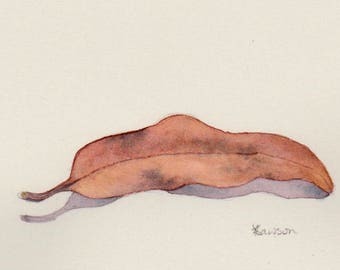 My original minimalist art is inspired by the natural world ~ feathers, shells, leaves. Each one is a little jewel ready to put into that special place for you to enjoy each day. 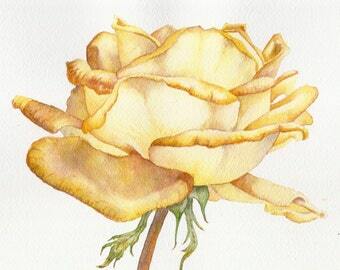 I am delighted to be able to offer you my unique art work, knowing that each drawing and painting brings a small piece of tranquility. Enjoy! 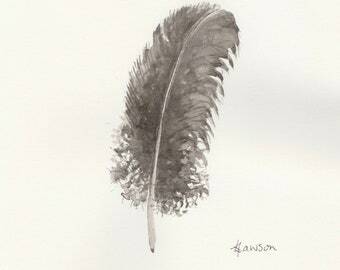 Anne worked with me closely to come up with a custom guinea fowl feather drawing which I just love! Fantastic communication, careful wrapping and protection for delivery and a beautiful drawing to treasure. Thank you Anne! Beautiful and arrived promptly. Thank you. pieces were well protected to survive their trip from australia to the u.s.
rich colors, striking detail, a true artist. can't wait to save up and purchase more! 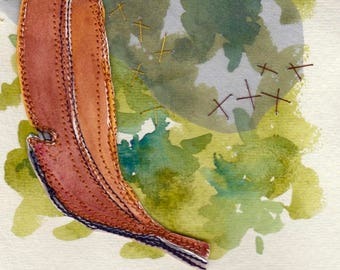 My passion is still sewing over my watercolour paintings. This striking magnolia is the latest. Definitely unique, and could be yours! Simply tap the photo. Another tree to go into the forest! Which one is your favourite? This one I have just added? 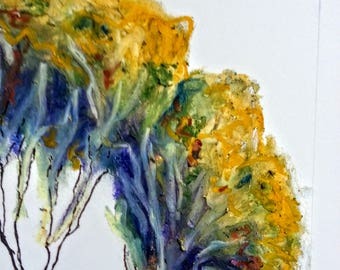 Vibrant mix of botanical art and abstract watercolour, with some machine stitching there too. Certainly one of a kind! I love the whole shebang of being on Etsy! Of course it is the creating that really gets me going. 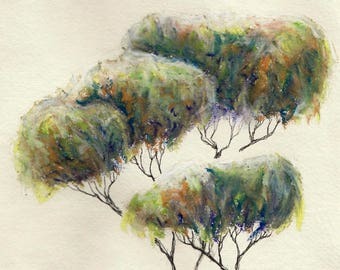 But I enjoy listing my works, thinking about how to link my work with those who love and respect nature. 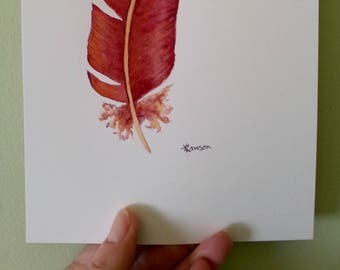 Creating the story of why this feather or these shells or those leaves were special enough to me to paint them. I also get enjoyment out of parcelling up my work to post to a client -- cutting up the cardboard boxes to protect the drawing, tying up the ribbon, making the card and writing the greeting, sending it off to anywhere around the world. "I have kept the other drawing for myself. It is good that in today's busy world you have chosen to take the time to share your artistic connection. It gives others a link to the centre of being that nature imparts to all. 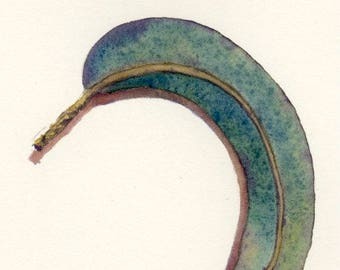 Your drawing helps me retain my connection to that which is truly important." 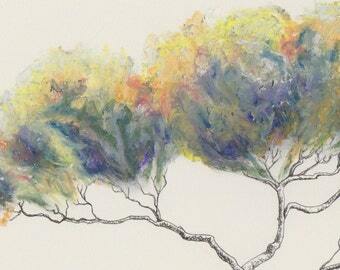 Through my drawings I hope to show my respect and love for our fragile environment. The birds help to support me, so I support them by making regular donations to Birdlife Australia. I try to live as lightly and mindfully as I can. 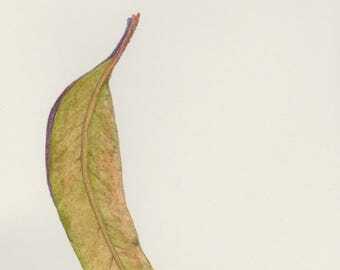 Botanic artist who creates small treasures from the natural world. Thanks for dropping by my shop and having a browse. 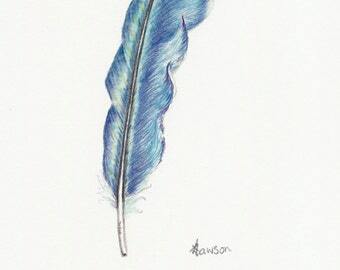 My drawing reflects my passion for creativity and the natural world. Each piece is unique, some taking many hours to create. 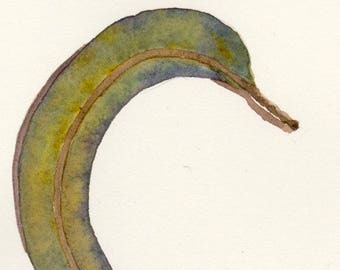 You would be very aware of the special nature of these drawings. This uniqueness has to be reflected in the price. I hope that the photos and descriptions of my work give you the information that you need. If they don't please, contact me with any questions or comments. I hope that my photos and descriptions are as accurate as possible. However if you are unhappy with any aspect of my work or service please send me an email annebags [!at] optusnet.com.au or a conversation through Etsy. I would be more than happy to resolve any genuine problems. This may include refunds or returns. I accept various forms of payment -- direct checkout, PayPal, gift cards etc. I will ship on receipt of payment. Some of my prints need processing time, but this is clearly stated in the description. They will be shipped as soon as they are available. 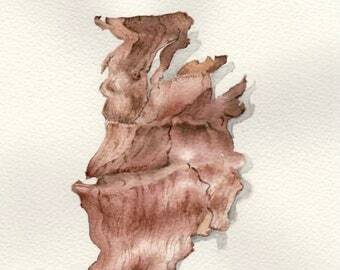 Most of my drawings or paintings are one offs and therefore available for immediate shipping. This includes the smaller prints. I will be able to pop it into the mail on the day of purchase or the next working day. I will certainly let you know when it has been posted. For the larger prints, A3 and A3+, please allow at least 7 days printing time. I ship with Australia Post, who have proved to be very reliable. Delivery to the USA is 7 to 10 days. I am happy to arrange tracking, insurance, express delivery or registered mail, but you will have to pay the extra costs. Send me a conversation and we can discuss these options. My drawings are usually of two sizes -- A4 and A5. The A5 drawings fit neatly into an A4 sized protective envelope. This means that they can go as letters, which is a lower rate. However, the A4 drawings need a larger envelope, which is just beyond the letter size. Therefore they are classified as parcels, and go at a higher rate. Unfortunately, I need to charge the higher postage price. I take all care to make sure the drawings are as protected as possible. As mentioned, I ship in protective "tough" bags and the work is secured between cardboard. 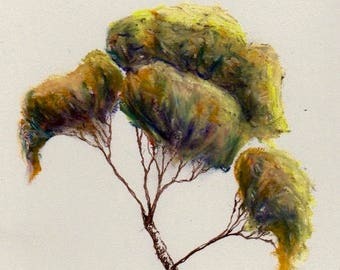 When necessary, as for work created with pencil and graphite powder, the drawing will be sprayed with a clear fixative. Please note that you are also responsible for all duties and customs that may be incurred. I have carried out custom orders. Have a look at the bats at this link. I am more than happy to consider other requests. Just contact me and we can talk it through.